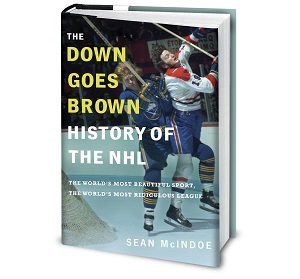 Down Goes Brown: Which early-season success story could be on this year's Senators? Which early-season success story could be on this year's Senators? We’re​ halfway into November,​ which​ means​ the​ NHL​ is​ settling into​ that mid-season grind.​ Teams have largely​ started​ sorting themselves out,​​ and we have a pretty solid idea which ones are good and which are bad, at least in general terms. There’s still lots of hockey left, and plenty of twists and turns for various stories to take. But for the most part, by this point on the calendar we usually know where most teams stand. One year ago today, the Ottawa Senators had just returned to North America after a two-game series against the Avalanche in Sweden. They’d won both of those games, running their record to 8-3-5. They were third in their division and comfortably in a playoff spot with multiple games in hand. Even better, they’d just pulled off a blockbuster trade to add Matt Duchene to the lineup. And remember, they were still just a few months removed from a dramatic playoff run that left them one goal shy of a trip to the Stanley Cup final. Things were good. And then, almost overnight, they weren’t. As we all know, last year’s Senators were about to fall off a cliff. They’d lose their next seven straight and end up finishing with the second-worst record in the league. Mix in off-ice scandals that dragged into a relentlessly bizarre offseason, and the last 12 months have been a nightmare. We can hope that no team is about to embark on a similar year, at least in terms of off-ice drama – the Senators feel like a once-in-a-generation outlier there. But in terms of wins and losses, is it possible that any teams that are feeling good about themselves right now might have a cliff of their own looming just around the corner? Let’s see if we can figure that out. We’ll skip over the team that are already in crisis mode (like the ‘Hawks, Devils, Ducks, Oilers and seemingly half the rest of the league). Instead, we’ll look for five teams that roughly match that 2017-18 Senators profile – over .500, in the playoffs or close to it and generally feeling good like the season is going well. And then we’ll try to ruin those good vibes by figuring out whether it could all go wrong. Where they’re at: At 9-5-3, the Canadiens are holding strong in the Eastern wild-card race, not to mention staying within range of the Bruins and Leafs for a top-three spot in the Atlantic. They haven’t gone back-to-back games without a point all season, and the offense has hovered around the top five. And as an added bonus, the season’s first month has felt like at least a small redemption for the much-maligned Marc Bergevin. The team’s top three scorers are Max Domi, Tomas Tatar and Jonathan Drouin – all players he recently acquired in trades that many of us questioned. How it could all go wrong: To some extent, maybe it’s already started to. If you ignore the loser point, they’ve lost almost as many as they’ve won, and they haven’t managed consecutive wins since the season was two weeks old. Beyond that, they’re currently shooting 10 per cent across all situations, which seems on the high side given the talent level on the roster. Considering how much they give up, it wouldn’t take much of a drop in scoring for the Canadiens to go from decidedly average to something south of that. And if that happens, Montreal is the kind of town where a losing streak can spiral into a crisis. We’ve seen it before, with many of these same players and coaches involved. Why it won’t: The weird thing about this year’s Habs is that this is the sort of exercise where we’d normally be saying something like “They’re doing it on the back of Carey Price, so if he gets cold then look out.” But they’re not. In fact, Price hasn’t been good at all this year, and wasn’t all that good last year either. On the one hand, that’s a terrifying red flag; his eight-year extension just kicked in this year, and if they find themselves paying $84 million for sub-.900 goaltending, they’re pretty much screwed. But in terms of right now, you can twist it into a reason for optimism. This is Carey Price, after all. The guy is good. So if they’re already winning when he’s getting lit up, how good will they be if he settles back into looking like a Vezina contender? As an added bonus, we could point out that Shea Weber will be back at some point over the next month or so, which should give the team a big boost. And with the Panthers, Wings and Senators all struggling, a playoff spot in the Atlantic is there for the taking. Odds that they’re this year’s Senators: There’s certainly a bit of that vibe, if only based on recent history. But preseason consensus aside, there isn’t all that much telling us that the Canadiens are a bad team right now.